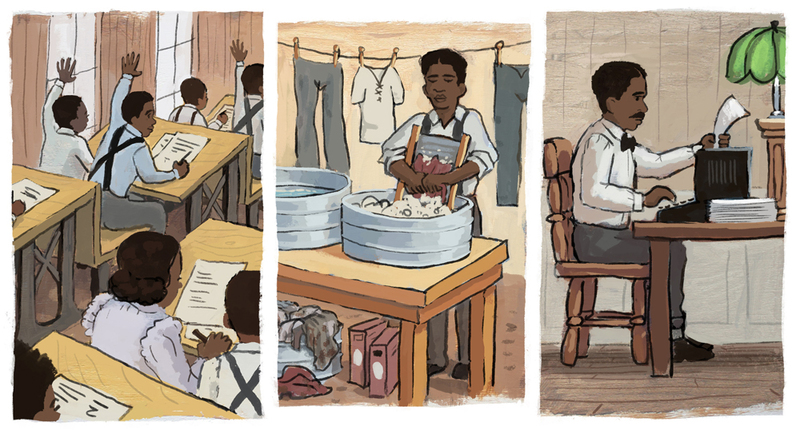 Here are some illustration examples made for the Notable Missourian book on George Washington Carver. What a fascinating man! Artist, scientist, thinker, doer. The Notable Missourian series is published by Truman University Press. Baby George Washington Carver and his mother and brother. 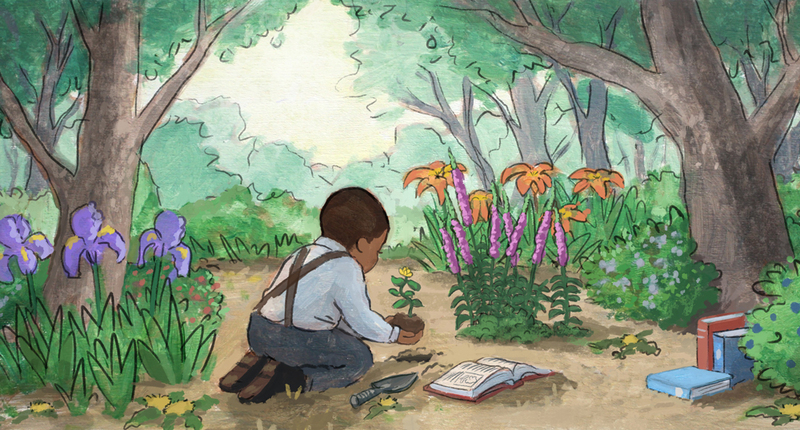 Young George Washington Carver in his woodland garden. Collage of George Washington Carver growing up. George Washington Carver teaching at Iowa State University. 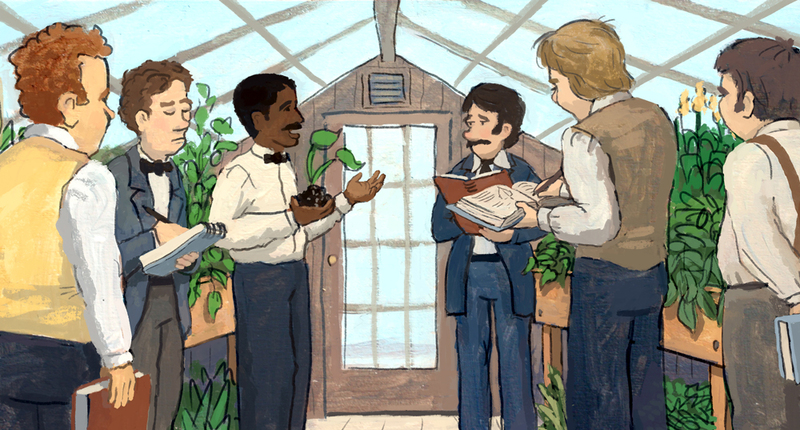 George Washington Carver sharing effecient farming techniques with poor farmers.